With profound sense of gratitude and regard, I express my sincere thanks to my guide and mentor Mr., for his valuable guidance and the confidence he instilled in me, that helped me in the successful completion of this project report. Without his help, this project would have been a distant affair. His thorough understanding of the subject and professional guidance was indeed of immense help to me. Also, this acknowledgement would remain incomplete without thanking the staff of KFC, New Delhi for their whole-hearted and kind co-operation. I am also greatly thankful to the faculty members of our institute who co-operated with me and gave me their valuable time. KFC Corporation, based in Louisville, Kentucky, is the world’s most popular chicken restaurant chain, specializing in Original Recipe ®, Extra Crispy TM, and Colonel’s Crispy Strips® chicken with home style sides and five new freshly made sandwiches. Every day, nearly eight million customers are served around the world. KFC’s menu everywhere includes Original Recipe® chicken—made with the same great taste Colonel Harland Sanders created more than a half-century ago. Customers around the globe also enjoy more than 300 other products—from a Chunky Chicken Pot Pie in the United States to a salmon sandwich in Japan. Today, the Colonel’s spirit and heritage are reflected in KFC’s brand identity – the logo features Colonel Harland Sanders, one of the best-recognized icons in the world. Build an organization dedicated to excellence. Consistently deliver superior quality and value in our products and services. Maintain a commitment to innovation for continuous improvement and grow, striving always to be the leader in the market place changes. Generate consistently superior financial returns and benefits our owner and employees. 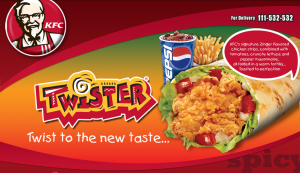 To establish in India our position as leading WQSR (Western Quick Service Restaurant) chain, serving good value. Innovative chicken-based products. Consistently, providing a pleasant dining experience, with fast friendly, in a clean and convenient location. At all times we must be dedicated to providing excellent and delighting customers. KFC is an internationally renowned fast food industry in the world. They have the main ambition to increase & maintain the quality in fast food industry. Their aim is to capture the fast food market. Basically they want to provide their products to anyone that is why they expanding their branches in all over the world. They want to increase their profit through giving maximum satisfaction & other better facilities to people that they want. Now after catching such a marvelous position in the International Market, KFC is introducing a new item “Boneless Fried Chicken”, with even more attractive and charming taste. Colonel Harland sanders, born September 9, 1890, actively began franchising his chicken business at the age of 65. Now, the Kentucky fried chicken business he started has grown to be one of the largest retail food service systems in the world. And colonel sanders, a quick service restaurant pioneer, have become a symbol of entrepreneurial spirit. More than two billion of the colonel’s “finger lickin’ good” chicken dinners are served annually. And not just in America. The colonel’s cooking is available in more then 82 countries around the world. When the colonel was six, his father died. His mother was forced to go to work, and young Harland had to take care of his three year old brother and baby sister. This meant doing much of the family cooking. By the age of seven, he was a master of a score of regional dishes. Ate age 10, his first job working on a nearby farm for $2 a month. When he was 12, his mother remarried and he left his home near Henryville, Ind., for a job on a farm in Greenwood, Ind. He held a series of jobs over the next few years, first as a 15-year-old streetcar conductor in New Albany, Ind., and then as a 16-year-old private, soldiering for six months in Cuba. After that he was a railroad fireman, studied law by correspondence, practiced in justice of the peace court, sold insurance, operated an Ohio River steamboat ferry, sold tires, and Operated service station. When he was 40, the colonel began cooking for hungry travelers who stopped at his service station in Corbin, KY. He didn’t have a restaurant then, but served folks on his own dining table in the living quarters of his service station. As more people started coming just for food, he moved across the street to a motel and restaurant that seated 142 people. Over the next nine year, he perfected his secret blend of 11 herbs and spices and the basic cooking technique that is still used today. KFC is the world’s No.1 Chicken QSR and has industry leading stature across many countries like UK, Australia, South Africa, China, USA, Malaysia and many more. KFC is the largest brand of Yum Restaurants, a company that owns other leading brands like Pizza Hut, Taco Bell, A&W and Long John Silver. Renowned worldwide for it’s finger licking good food, KFC offers its signature products in India too! KFC has introduced many offerings for its growing customer base in India while staying rooted in the taste legacy of Colonel Harland Sander’s secret recipe. Its signature dishes include the “crispy outside, juicy inside” Hot and Crispy Chicken, flavorful and juicy Original Recipe chicken, the spicy, juicy & crunchy Zinger Burger, Toasted Twister, Chicken Bucket and a host of beverages and desserts. For the vegetarians in India, KFC also has great tasting vegetarian offerings that include the Veggie Burger, Veggie Snacker and Veg Rice meals. In India, KFC is growing rapidly and today has presence in 11 cities with close to 50 restaurants. Focus all our resources to our restaurants operation because that is where we serve our customers. Reward and respect the contributions of each individual at KFC. Expand and update training with time and be the best we can be and more. Be open, honest and direct in our dealings with one and other. Commit ourselves to the highest standard to the personal and professional integrity at all times. Encourage new and innovative ideas because these are the key to our competitive growth. Reward result and not simple efforts. Dedicate ourselves to continuous growth in sales, profit and size of organization. Champs stands for our belief that the most important thing each of us can do is to focus on the customer. It stands for our commitment to provide the best food and best experience for the best value. CHAMPS stand for the six universal areas of customer expectation common to all cultures and all restaurants concepts. CHAMPS is the philosophy to ensure that the customer has the consistent quality experience in every restaurant, everyday, on every occasions and you will be playing role in delivering CHAMPS to our customers. Neighborhood eateries for the most part have low hindrances to section, these are the obstructions to passage for comparative eatery organizations to enter the fast-food chain market. The clients of KFC, particularly as individual purchasers, have no dealing power in light of the fact that if one and only client undermines to no more eat at KFC, the store is not going to lower its cost in light of the fact that the expense of losing one client is not extremely awesome. The suppliers, similar to the purchasers, have almost no haggling power. dealing power. As far as HR, work expense is to a great degree low in light of the fact that the supply of non-talented specialists incredible surpasses the interest for them. With so little purchaser and supplier bartering powers, KFC can have a tight control over its costs and consumptions. Indian eating, home-cooked dinners, and supermarkets with prepared to-eat sustenance’s are likewise substitutes, as families could pick any of these over fast food for a supper. These substitutes are unquestionably viewed as solid when contrasted with the fast food chains. Indeed, even nourishment’s from road sellers consider substitute products. While other quick sustenance’s serve as substitute to KFC, they can likewise serve as supplements for quick nourishment’s all in all. In the event that the general cost of quick nourishment’s goes up, KFC’s value ascends also, and the same can be said of the amount sold of these items, which make them supplements to each other. KFC likewise sets up stores situated close prevalent vacation spots, so tickets to these traveler spots are additionally integral merchandise on the grounds that the more individuals visit these attractions, the more clients KFC will get. Not at all like what one would expect, KFC has little contention with comparative fast-food chains in India. The essential reason is that their center items are distinctive, as in they offer various types of quick sustenance’s with altogether different tastes and styles. For instance, if KFC raised its cost for chicken by a little sum, Indian chicken significant others who may not be as tolerating to pizzas (numerous Indian individuals unequivocally loathe the essence of cheddar) are not going to change to Pizza Hut on the grounds that the cost for KFC expanded. Notwithstanding that, these eateries have such diverse target clients that the change of cost for one eatery is not going to influence the others. For instance, a full feast at KFC ranges about Rs. 100, while a full supper at Pizza Hut can cost over Rs. 300. The intense distinction in cost guarantees no value rivalry between these eateries. Place shortening into the pressure cooker and heat over medium heat to the shortening reaches 400F. In a little bowl, consolidate the egg and milk. In a different bowl, combine the remaining six dry ingredients. Dip each piece of chicken into the milk until fully moistened. Roll the soaked chicken in the flour mixture until well coated. In groups of four or five, drop the covered chicken pieces into the shortening and lock the lid. When pressure builds up cook for 10 minutes. KFC has divided the market of India into distinct groups of customers with diverse demands, tastes and behavior who require distinct products or marketing mix. In India the niche marketing is being used for specific classes of people. In demographics their first section is consisted of the income factor i.e. high income, average income and low income. In behavioral phase they segmented the market on the basis of quality, taste and price. Following are the different possible segments in this regard. On the basis of the geographical factor we have divided our market in three main segments. Gender: KFC is for each gender both male and female. Income: Everybody can use the KFC service upper and middle class. Occupation: By profession also everybody can use this product means businessman student workers and other peoples. Education: It has no need more education that why the person who know something can easily enjoy with this product. Family life cycle: KFC is appropriate in all stages of life like single married couple and also those who have children can use this product. Lifestyle: This product is used in every level of community class like upper, middle class. Attitude: When the customers once buy this product after that they can use the product continuously. Purchasing decision: Often KFC alters the buying decision of customers because of its good attributes. Geographic region: Geologically KFC is used in every part of the country as well as all over the world. Customer recognize this product as a unique product that other are not giving. The attitudes of the public is very good people like our new product like others. Many people come from home to eat this, and some make impulse decision as they saw it. KFC will use differentiated market coverage strategy, Means that different marketing mix will be used for different age groups. After evaluation of various segments, KFC has decided to target the market of Metropolitan and Sub-urban Areas of India. People are cultured and they want variation in their diet. Usually people of rural areas don’t take fast food. On the other hand people of urban regions take fast food. Income of the people of urban areas is generally high and they can afford to buy such products, which are somewhat higher in price as compared to prevailing prices of local food in the market. People of Metropolitan Areas are more quality sensible than the people of Rural Areas. In Inner-city Area there lived people from every walk of life and revenue generation is easier than in Rural Areas. Population density is greater in Urban Areas as matched to Rural Areas, so the no. of customers are more in Urban Areas. You can’t appreciate the business without contenders. No association can stand to overlook there contenders. It is vital for an advertising directors to screen the exercises of there contenders, what they are doing? KFC embraced such kind of system that there is no contender for spicy chicken, which is made by KFC. KFC uses Top to Bottom and Bottom to Top Approach in Management. McDonald’s Uses Top To Bottom Approach. KFC is Co branding with Walls No such Case. A market in this context refers to a number of all actual and potential buyers of a product (Kotler et al 2003). These buyers have a need to satisfy their needs through exchange (Graphic 1). These necessities make up the demand for specific products and services. 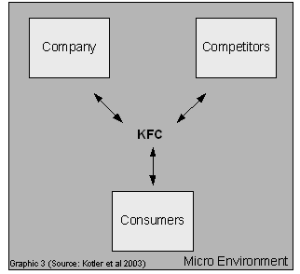 Several components must be considered, as all these components have a direct or indirect impact on KFC’s success. Modifications in the below defined components over the last couple of years have led to huge changes in people’s attitudes towards healthy food. It clarifies why Indians today need to eat solid and nutritious-rich sustenance to keep themselves sound and that KFC must alter their scope of item and their organization picture to speak to these new desires, individuals have. KFC operates in a larger macro environment of forces that creates opportunities, but also threats. 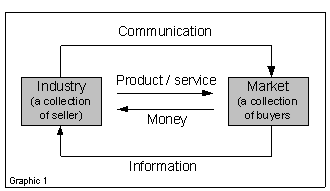 (Kotler et al 2003). An organization, for example, KFC more often than not can’t impact patterns in the full scale environment, as they influence individuals and associations on a bigger scale. Be that as it may, KFC needs to painstakingly inspect macro ecological patterns and should make aggressive reactions to such patterns. There are six noteworthy large macro environmental strengths KFC needs to check. Since the fast food market in India is very aggressive, KFC faces a wide number of immediate and circuitous contenders. KFC’s primary rivals are fast food chains, for example, McDonald’s and Domino’s, which are as of now settled all through India. McDonalds’ specifically is an immediate contender, as they have as of now effectively presented their Salads in addition to line (http://www.theage.co.in), which straightforwardly targets ‘solid sustenance’ cognizant Indians. Yet, there are various different contenders that is additionally concentrating on “chicken” sorts items. This opposition makes it entirely troublesome for KFC to keep up or even widen their client base. Be that as it may, with the presentation of another and sound item extend, KFC can separate itself from most contenders and will pick up an upper hand. 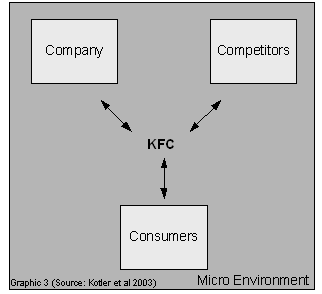 KFC’s customer market consists solely of the consumer market (Kotler et al 2003). KFC’s items are purchased by people (male, females, singles, and families). Hence, the item extend KFC offer ought to speak to whatever number individuals inside this buyer market as could be expected under the circumstances, to guarantee that the most extreme measure of items can be sold. The attributes of these people and a division of them are talked about later in this report. How they compete their competitors ? They offered different packages at different events like ramdan offer, midnight offer etc. KFC has a very long history and has the most recognize able brand in chicken with over half of the market share. It becomes difficult for the companies like Sub way, Mc Donald’s, Chicken planet, Dixie or those who might need to enter in the business sector of fast food eateries. Due to with over half of the market share in fast food industry KFC has acknowledgment around the globe and has been internationally situated for a long time in India and to catch the piece of the pie in India receives champs reasoning. The operations of KFC are influenced by the administration arrangements on the controls of fast food operation. Right now government are controlling the advertising of fast food eatery in light of wellbeing concern, for example, cardiovascular and cholesterol issue and weight among the youthful and youngsters in the nation. Governments likewise control the permit given for open the fast food eatery and different business direction need to take after, for example, for an establishment business. Great association with government in giving shared advantages, for example, occupation and expense is an unquestionable requirement for the organization to succeed in any outside business sector. Though for last 1 year their was economic slowdown all across the globe but the sales of KFC and other fast food chains did not slow down to that extent that of other sectors in. The GDP (Purchasing Power Parity) is estimated at 2.965 trillion U.S. dollars in the year 2010. The GDP- per Capita (PPP) was 2700 U.S. dollars as estimated in 2008. The GDP- real growth rate in 2007 was 8.7%. India has the third highest GDP in terms of purchasing power parity just ahead Japan and behind U.S. and China. Foreign direct investment rose in the fiscal year ended March 31 2007 to about $16 billion from just $5.5 billion a year earlier. There is a continuous growth in per capita income; India’s per capita income is expected to reach 1000 dollars by the end of 2007-08 from 797 dollars in 2006-07. This will lead to higher buying power in the Hands of the Indian consumers. So taking into considerations the economic factors of India KFC is safe. The only danger to it will be if there is a terrorist attack in India and the victim is KFC. India is the second most crowded country on the planet with an estimated populace of more than 1.1billion. This populace is partitioned in the accompanying age structure: 0-14 years – 31.8%, 15-64 years – 63.1% and 65 years or more – 5.1%. There has likewise been a nonstop increment in the utilization of fast food in India. The social pattern toward quick great utilization is changing and India has seen an expansion of 90% fast food utilization from the year 2002-2007. This increment is far more prominent than the expansion in the BRIC countries of Brazil (20 for each penny), Russia (50 for every penny) and China (just about 60 for each penny). In this way this demonstrates a positive pattern for fast food enterprises in India. The Indian fast food Industry is warming up with a great deal of outside players entering the Indian business sector. The innovative skill and ability will likewise enter the Indian business sector with an expansion in rivalry. With the lower rates and expand innovation the fast food counters are drawing in youth by giving them appealing arrangements. For e.g. KFC and Domino’s pizza. For a fast food eatery, innovation does not give a high effect on the organization and it is not a critical full scale environment variables. However KFC ought to look to contenders development and enhance itself in term of coordinating innovation in dealing with its operation. For instance in stock framework, store network administration framework to deal with its supply, simple installment and requesting frameworks for its clients and remote web innovation. Execution of innovation can make the administration more viable and cost sparing in the long haul. This will likewise make client glad if cost funds results in value lessening or special battle markdown which will advantages them every now and then. As one of world biggest customer of hamburger, potatoes and chicken, KFC dependably had been pundits for world earthy person. This is on account of high utilization of meat bringing on the green house impact by methane gasses originating from the cow’s farm. Extensive scale estate has impact the earth and loss of green backwoods opening for ranch exercises. 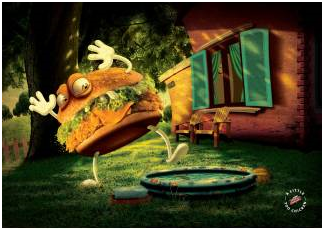 Veggie lover hippie scrutinizes the fast-food mammoth for savagery to creatures and butchering. In America, once KFC need to present whale burger bringing about commotion since whales are jeopardized species. Before utilizing paper bundling, KFC once had been reprimanded for being obtuse to contamination as a result of utilizing ne based bundling for its nourishment items. Envision a large number of individuals buy from fast food administrator and how is the effect to world environment by discarding those difficult to reuse bundling. Our reality is getting worry on environment issue and business working here ought to tend to benefit, as well as watchful utilization of world assets for feasible improvement and nurture environment security and wellbeing for our future era. Pundits and worry from all open or extremist ought to be audit and backing if important to guarantee we play our social obligation better. As an ensured fast food administrator, there are numerous controls and strategies that KFC ought to take after. For instance is the Halal accreditation that turns into a worry to Muslim customers. KFC ought to secure its honesty and purchaser certainty by guaranteeing all materials and procedure are as asserted or should took after. Other lawful prerequisite that the entrepreneur ought to take after as stipulated in laws are, for example, working hours, business enlistment, charge necessity, work and job laws and quality and environment confirmation, (for example, ISO) in which the outlet has been ensured. The legitimate prerequisite is vital on the grounds that the guilty parties will be fined or have their business precluded from working which can be sad. Right now KFC have propelled another item in the business sector. They have likewise attempted to come into the drinks market by propelling its new brand of shakes called KRUSHERS. As it is a genuinely new item it comes in the class of the Question Mark in the BCG Matrix. It has a low piece of the pie therefore brings low income. KFC is promoting a considerable measure to advance this item so there is a ton of use on it. This item is separately not bringing any benefits and is a money channel for the organization. Organization may choose to totally expel this item from the business sector in the event that it doesn’t do well soon and begin getting income. KFC’s Veg Thali goes under this class. In spite of the fact that organization had propelled this item much before, it has still neglected to end up a win. As KFC is known more for its non-veg nourishment, this additionally brings about low interest for this thing. It has a low piece of the pie and albeit low on use (as organization does not spend on its advancement), it doesn’t get much income as interest is low. The item is generally CASH NEUTRAL. KFC’s Chicken Bucket is the best result of the organization. It has the most astounding piece of the pie amongst the various items. It has great interest in the business sector and gets immense deals income. The advancement and different costs are likewise low and subsequently this item is a CASH SURPLUS for the organization. Goodwill and reputation: The organization positively has earned a decent name and notoriety by its past items and administrations in the business sector. It is considerably more perceived in different markets outside India, where the organization is among the main fast food goliaths. The brand is perceived and confided in India for its quality items, cost, and client administration. It in this manner has a decent head begin and appreciates a decent risk of turning into a pioneer in Indian fast food industry. Employee Loyalty: Employee Loyalty is one of the major strengths of KFC. The turnover rate in the company is amongst the lowest in the industry. Customer Loyalty: Despite gain by Boston Market and Chick-fill A, KFC customer base remained loyal to the KFC brand because of its unique taste. KFC has continued to dominate the dinner and take out segment of the Industry. Ranks highest among all chicken restaurant chains for its convenience and menu variety. It generates $1B revenue each year. KFC was losing market share as other Chicken chain increased sales at a faster rate. KFC share of Chicken Segment sales fell from 71 percent 1999 , to less than 56 percent in 2009 , a 10 -years drop of 15 percent. Huge competition in this segment. India is still mostly a vegetarian dominated cultured society. South India is especially very much so. This may reduce the market share of the company. KFC has not yet contributed much on R&D, and developing new items for Indian Markets. This may prompt disappointment of their items as they are not in accordance with the Indian attitude, people groups taste and inclinations and their preferences and aversions. This may demonstrate lethal for the organization. New Markets: Globalization has opened entryways for new markets for the organization. As the created markets are for the most part soaked, the creating nations like India and China guarantees a decent market and era of interest later on. With more than 70% of the business sectors in india being unexplored and un sorted out, KFC has a decent extent of extending its operations in the nation. Cross Culture: By and large there is a decent acknowledgment of American society of fast food in India. Individuals are opening up to quick sustenance’s all the more routinely in their day by day lives and not simply keeping it a once in a month issue. In this way Indian mentality is quick evolving. Large Youth population: India has an extensive offer of youth populace a contrasted with different nations. More than 60% of the populace is less than 30yrs years old. As the youthful era are more open to quick nourishment’s and interest it more, this is an uplifting news for the organization. New variety: Company can also come up with new variety in the menu like Pizzas, garlic breads to attract more customers. Competition: Competitor companies like McDonald’s are fast catching up with the market.McDonald’s with sales of more than 19 billion in 1999, accounted for 15 percent of the sales of the nation’s top 100 restaurant chains. Saturated US Market: Now KFC cannot rely on just its home market to generate sales. As the US markets are already saturated and leave no or little scope for growth, company necessarily needs to look at offshore foreign markets to generate sales and keep up the profits. There are diverse systems embraced by KFC for various occasions. They showcase their items on various occasions and in various exercises as they are helping SOS village. 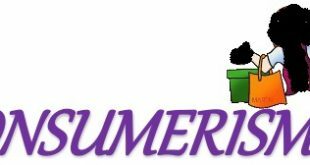 As indicated by KFC, kids turn into the future permanents clients and we know extremely well that with no advertising system no showcasing program and no item is fruitful in light of the fact that we rely on clients, client not rely on upon us. KFC possess a western culture because some of the Indian people are also following that culture. 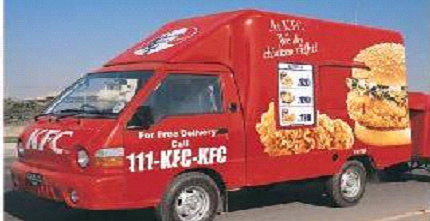 KFC also offer free home delivery. KFC open their outlets on reachable places. KFC menu consists of more than 30 products. KFC gives more priority to Family. Since 1982, KFC’s “All-American salute to Mothers” national card challenge has been KFC’s method for regarding mothers and their families for filling mother’s Heart with joy KFC’s greatest deals day of the year. The challenge urges youngsters to imaginatively express their affections for their mothers by making a custom made card and give them opportunity to go after more than $10,000 in real money and prizes. Instructive bundles, including dialect, history and workmanship practices highlighting Mother’s Day, were sent to a great many schools across the nation. KFC amid evaluating their items keep the diverse focuses in the brain like they receive the cost base value technique. Estimating of the item incorporates the Government charges and extract obligations and after that they come at definite phase of decide the cost of their items. KFC costs of items are somewhat high as per the business sector portion and it is additionally good to the stander of their items. Advancement is one of the important plates in any type of business or at the end of the day you can say that advancement is the key of progress. In the event that you advance your item at the ideal time. KFC likewise known the significance and hugeness of advancement so they utilizes the boards the real wellspring of ad and a standout amongst the most essential thing that they utilizes media particularly the daily papers to advance their items. They are additionally making mindfulness among the masses about their current item go too they let us know about the future item. Paste delivery posters at petrol pumps, flats, colleges, plazas, and departmental stores. Visit offices and business places. On account of the KFC the arrangement of the item is not imperative but rather the position of the eatery is critical. The results of the KFC is cooked at the game and after that served after that. 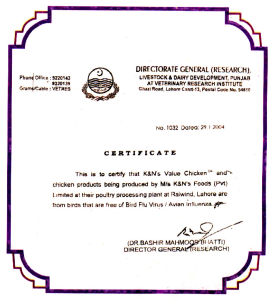 KFC Cavalry branch opened in June 1998, in the primary business zone of Cavalry Grounds close to the Jinnah Flyover. The eatery is a three-story building including the cellar (where the chicky play range is found). It is in a perfect world situated in the focal point of a principle business and local location of Lahore. The range that KFC Cavalry cooks for is the private and office territory of Cavalry Grounds and Cantt, as the principle target market. Another branch the KFC opened in the Lahore is in Garden Town (inverse to Barkat Market). KFC likewise focus on the Faisalabad and open its branch in D ground. Presently we can without much of a stretch judge that the KFC focus on the spot for their eatery, which is understood and is in the Porsche territory where the pay level of the general population is high then the working class level. Since the costs of the KFC items is high with correlation with the neighborhood items maker who are managing in the same sort of item in which KFC is managing however the costs of the KFC is high because of uncommon taste, high caliber, and because of worldwide brand, it is the world perceived fast food eatery all around the globe. Thus, for the putting methodology, KFC picked the well pay class zone for their eateries. K and N’s best in class Quality Assurance Lab screens the whole combination process from domesticated animals to encourage and on to readiness of prepared to-cook and cooked items. HACCP – K and N’s guarantees nourishment security by actualizing the universal HACP (Food Safety System) and appreciate the novel benefit of being the first and final HACCP confirmed organization is India delivering chicken and chicken items. Free from ailments and microbes, drug deposits and different contaminants. 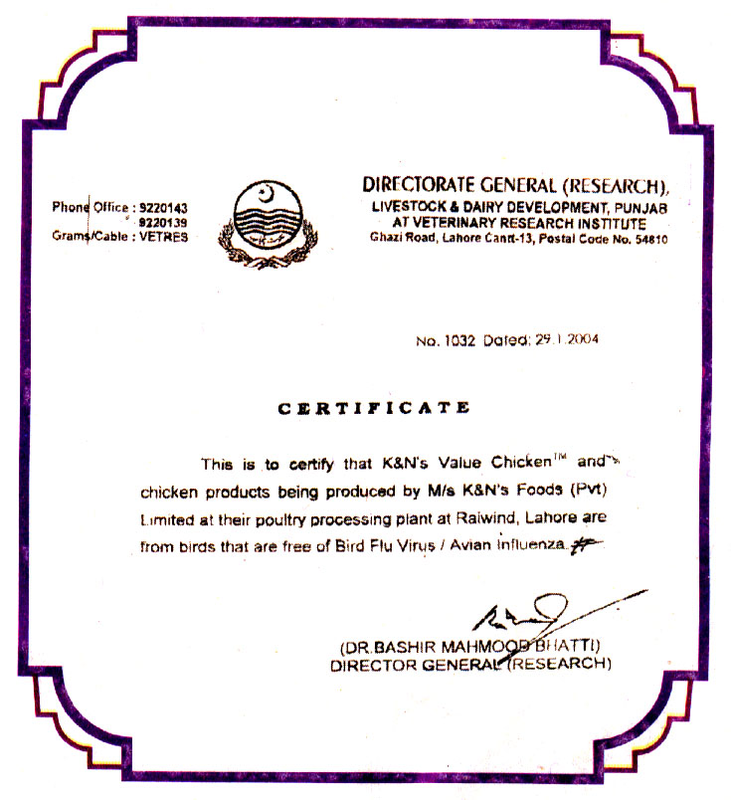 Director General ( Research ) has issued quality assurance certificate for the chicken used by KFC. The packaging material and carton design are all adapted to maximise performance against these three criteria. Every one of our clamshells and chicken boxes contain as greatly reused material as it is lawfully permitted. By law we are required to have virgin fiber board in any part of the bundling that is in contact with sustenance. Any virgin fiber originates from board suppliers who use mash purchased from oversaw woodland in Scandinavia. This guarantees any wood cut for paper generation is supplanted with new plantings. KFC are enthusiastically complying with the new environmental directives on recovery and recycling of packaging waste. This examination measured and thought about the brand character of Kentucky Fried Chicken (KFC) in India. Brand character was characterized as the client impressions of four diverse KFC personality components – properties, items, presentations, and distributions. A review of youthful buyers in the nations (n = 795), demonstrated that the respondents were more well-suited to eat inside KFC eateries, and invest more energy doing as such, than the Americans. The Chinese additionally had a great deal more positive impressions of KFC. Brand personality impressions were connected with general consumer loyalty and with future support goals for both gatherings. These discoveries bolster a model where contrasts in social casings of reference lead customers to effectively restrict the brand character of this ostensibly globalized item. 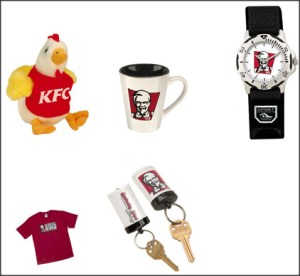 For the sales promotion KFC introduced their goods like watches, key chain, e.t.c to the customers. The advert titled Pool was done by OGILVY & MATHER, New Delhi advertising agency for KFC ZINGER BURGER (KFC company) in INDIA. It was released in the June 2009. Business sector is Fast food outlets & restaurants. One of KFC’s latest advertisements is a commercial advertising its “wicked crunch box meal”. The commercial features a fictional black metal band called “Hellvetica” performing live, the lead singer then swallows fire. The commercial then shows the lead singer at a KFC eating the “wicked crunch box meal” and saying “Oh man that is hot”. In 2007, the original, non-acronymic Kentucky Fried Chicken name was resurrected and began to reappear on company marketing literature and food packaging, as well as some restaurant signage. 4. Would you rather order than Dine in? How close is your house to your nearest KFC outlet? Do you want a KFC home delivery service? We did a survey on KFC on people with age group of mostly 20-25yrs. Mostly all were open to non-veg food, and following were the results. As seen below KFC has shown a good report on all the micro factors that we considered. We also asked questions on whether they would like KFC to start home delivery services. We also inquired “How close is the nearest KFC outlet from your house? Would you like to order at home or Dine in? It is clear from the above report that a high number of individuals really jump at the chance to arrange from their home or working environment as opposed to coming. This might be because of more comfort, time lack or just not willing to come and eat. Absolutely the home conveyance business sector is gigantic and KFC can take well preferred standpoint of the circumstance. Therefore it would be to the greatest advantage of the organization to begin the administration as quickly as time permits and exploit the open door. KFC expects an ascent in the requests by no less than 20% by beginning this administration. Therefore, to conclude we would say that KFC Marketing Strategies should definitely have a home delivery service.